Sea Tel ST94 Satellite TVRO is the next generation 2.4M TV-at-Sea system and based on the well proven 9497 antenna system. Packed with electronic innovation the antenna continuously calculates position, orientation and velocity for smart, seamless satellite TV for offshore applications. With a host of improvements the system's advanced electronics enhance system awareness - including LED indicators for troubleshooting, the USB port for BlueTooth adaptor and a digital control interface between the motor driver and PCU for improved communications whilst high-accuracy accelerometers enhance positioning for a better service. 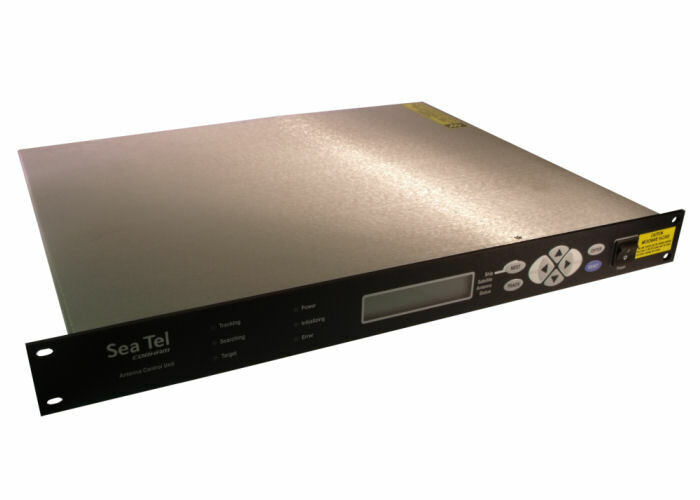 The Sea Tel ST94 Satellite TV supports any number of satellite receivers so many TVs can be installed and individually programmed for the enjoyment of everyone on board. Crew and passengers can enjoy digital TV and music programming from leading providers in some of the world's most remote oceans. By installing the Sea Tel ST94 Satellite TVRO system you can enhance crew welfare and increase passenger satisfaction when operating offshore. Cobham SATCOM TV-at-Sea antennas are designed and built to exacting standards. Using innovative, cutting-edge technology to ensure high performance and reliability that end-users can trust. The micro-electromechanical (MEM) sensors used in Sea Tel's antennas are based on the same technology currently being used in missile and aerospace technology around the world. This high-end quality in combination with the unmatched satellite TVRO antenna manufacturing process ensures you can count on the Sea Tel ST94 Satellite TVRO to keep working in any conditions. The Sea Tel ST94 Satellite TV has been protected against motion and interference to ensure consistency of operation and unspoilt viewing pleasure for passengers and crew alike in teh harshest of conditions. 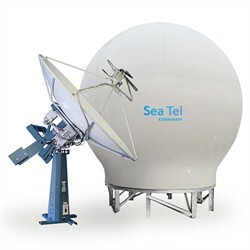 The Sea Tel ST94 Satellite TV's complete antenna stabilisation system including proprietary antenna control and fast-track signal lock software detects the slightest motion and compensates / corrects accordingly. The ST94 is available in C-band and Ku-band configurations or as a dual-band system to permit both frequencies. The ST94 is tested to the US Navy's performance standard's for vibration, shock and protection against RFI and EMI emissions. Pricing stated is for Ku-band only configuration.